– I also added a title, and started using variable names as I build around a data frame, which makes it much easier. – We can see at least one of those vertical striations that we saw in the original data set. 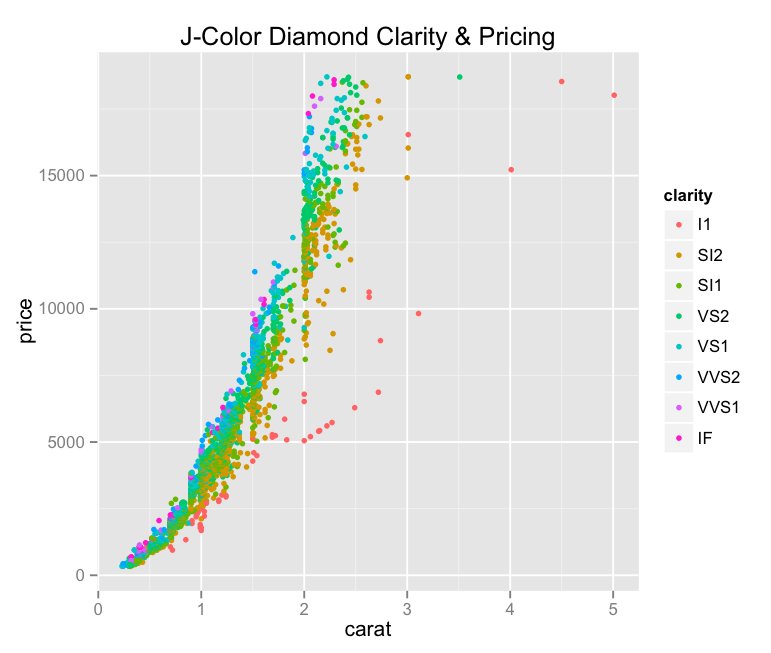 – It looks like the outliers on the low-price-high-carat scale of the J-colored diamonds are larger but less valuable than their peers. – This graph is a bit muddy, but we can for sure see what look like trends in clarity correlating with price as we go from orange to green to pink/purple. There’s a lot more data down in the sub 1.0 carat range than above. What happens when you restrict the set to less than a carat?